A Soviet­-era mosaic outside the Kryvorizhstal plant in the city of Kryvyi Rih. The city is a major centre of steel production and iron ore mining. Men playing chess in a playground on ‘Hidropark’, an island in the middle of the Dnieper river in Kiev. The island is a popular place for recreation in the summer months. 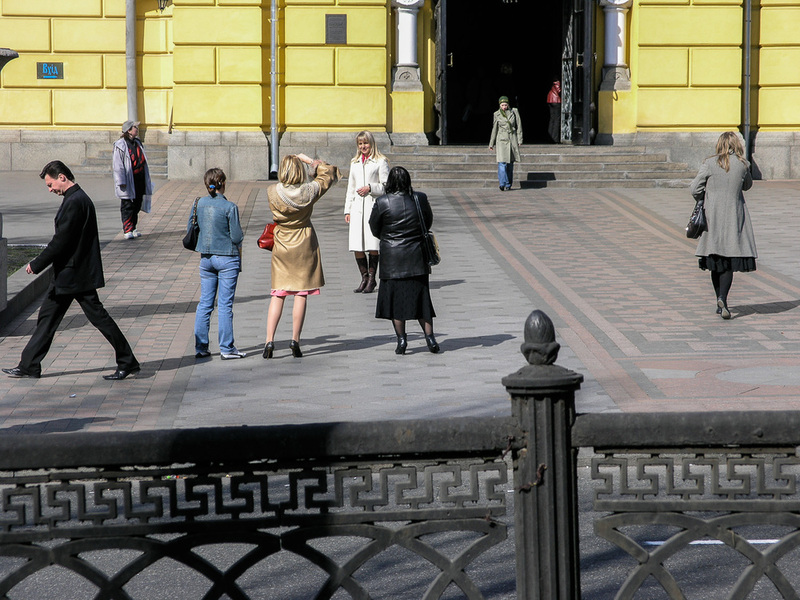 A street scene in front of St Volodymyr's Cathedral of the Ukrainian Orthodox Church (Kiev Patriarchy) in Kiev. A view over the Inhulets river at Kryvyi Rih. Headframes for the city’s numerous iron ore mines are visible in the background. The entrance to a metro station in the city of Dnipropetrovsk. A ‘flashmob’ surrounds a train at the railway station in Pavlograd, east Ukraine. 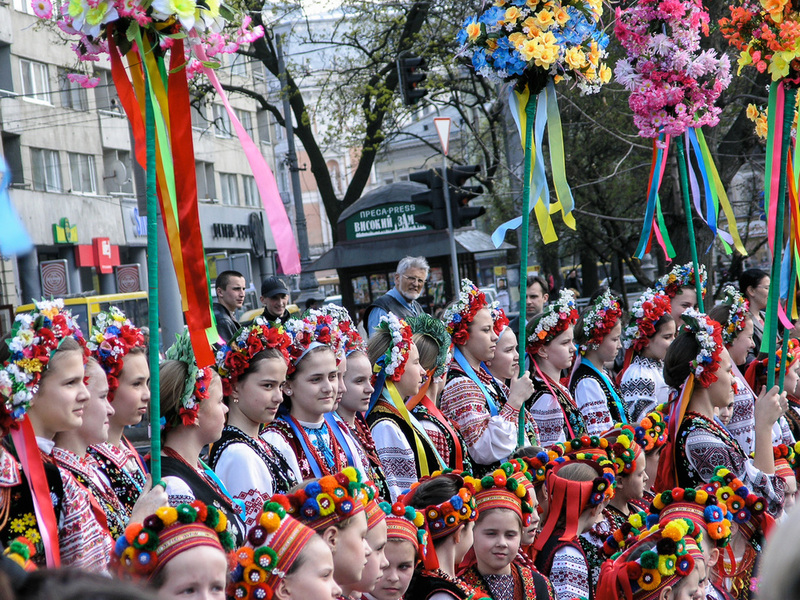 Children in traditional Ukrainian dress photographed at an Easter parade in the west Ukrainian city of Lviv. 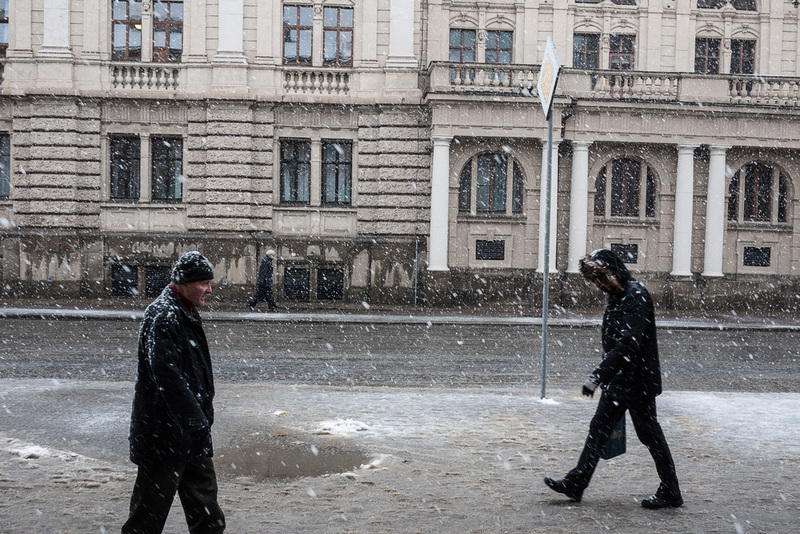 A street scene near the Opera House in Lviv, west Ukraine. 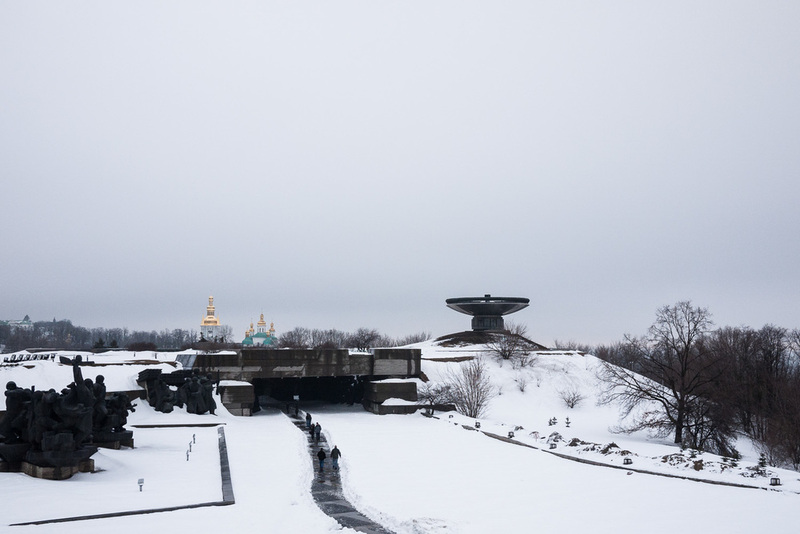 The Museum of the Great Patriotic War in Kiev, with churches of the Pechersk Lavra monastery complex in the distance. 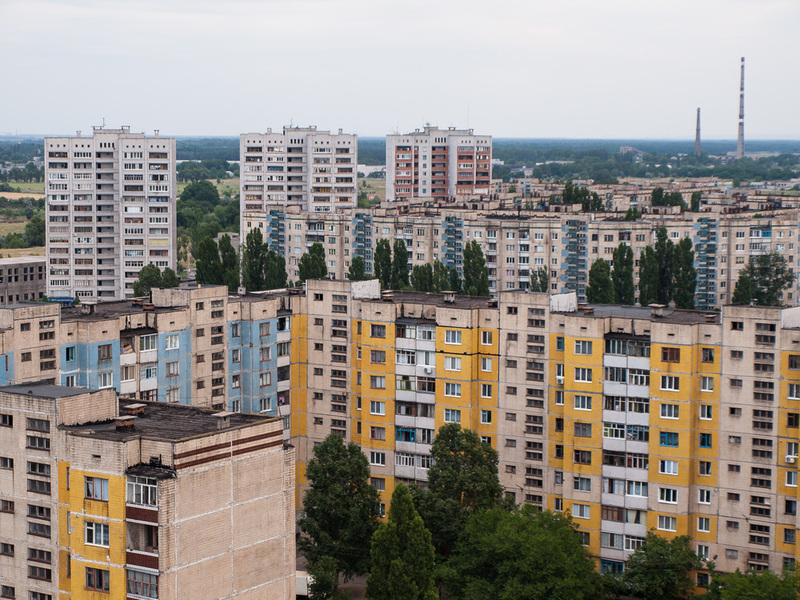 Apartment blocks in the industrial town of Dniprodzerzhynsk. People leave a metro station in Kharkiv, east Ukraine. 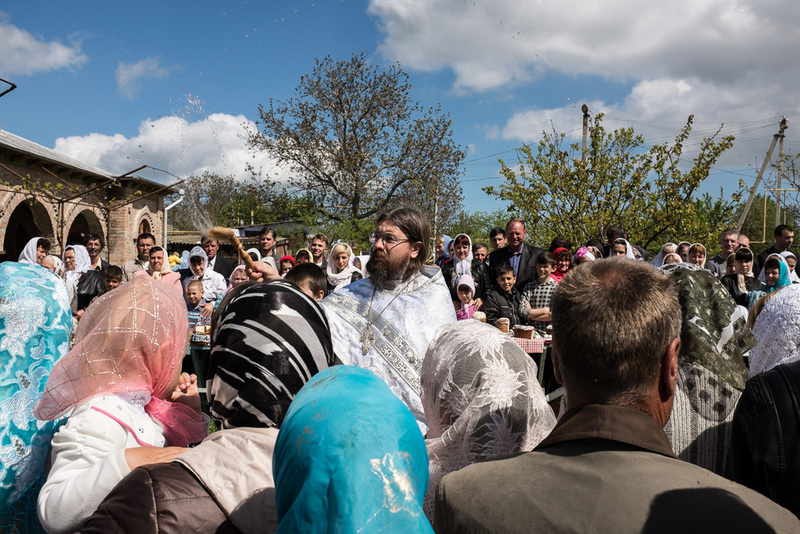 Father Nikolai Bobkov of the Russian Orthodox Old-Rite Church in the village of Stara Nekrasivka at Easter. 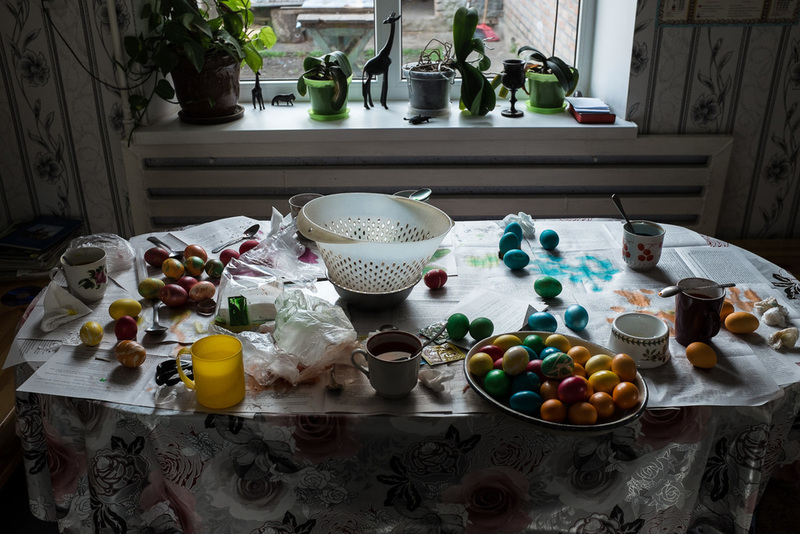 The village, in Odessa region, is home to a community of Orthodox Old Believers which traces its origins to the arrival of settlers in this corner of Ukraine following the schism of the Russian Orthodox Church in 1654. 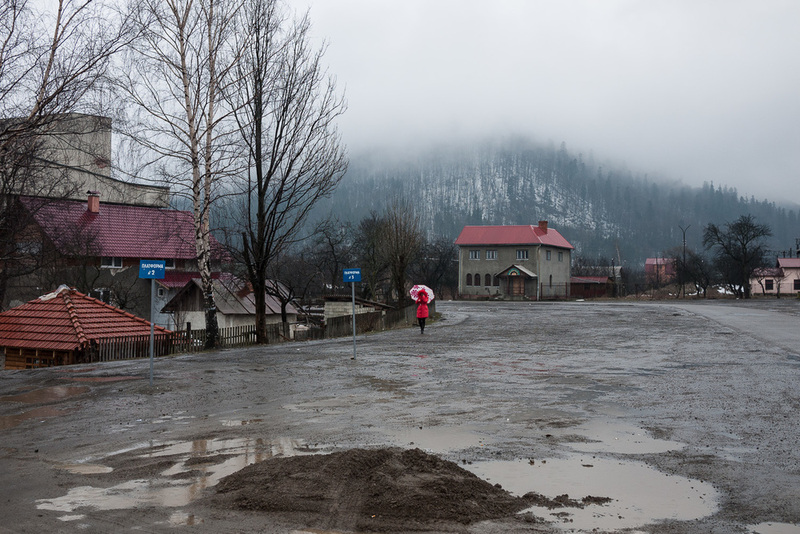 A woman talks on her mobile phone in Skole, a small town in the foothills of the Carpathian Mountains in west Ukraine. A man plays the violin outside the Dominican Greek Catholic church in Lviv, west Ukraine. The west of the country is home to the majority of the country's Catholic believers. A beach in Yevpatoria, Crimea. 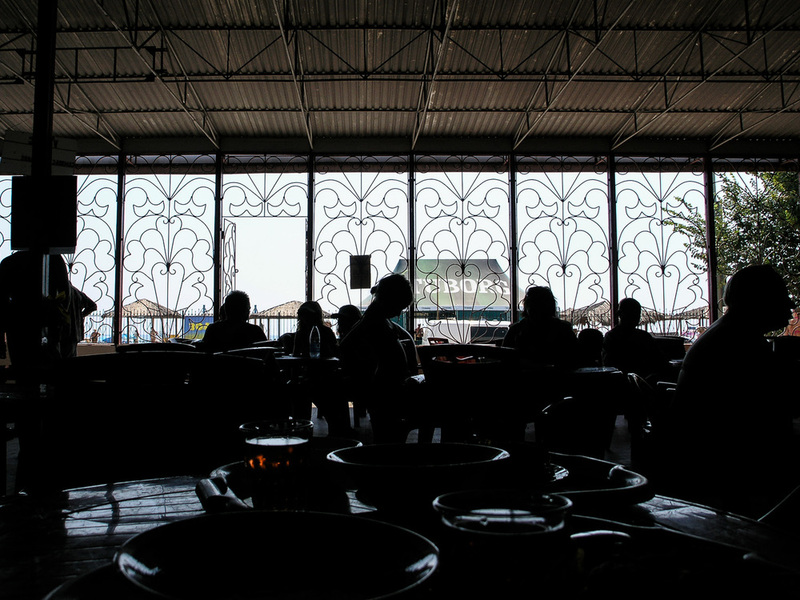 A cafeteria in Yevpatoria, Crimea. 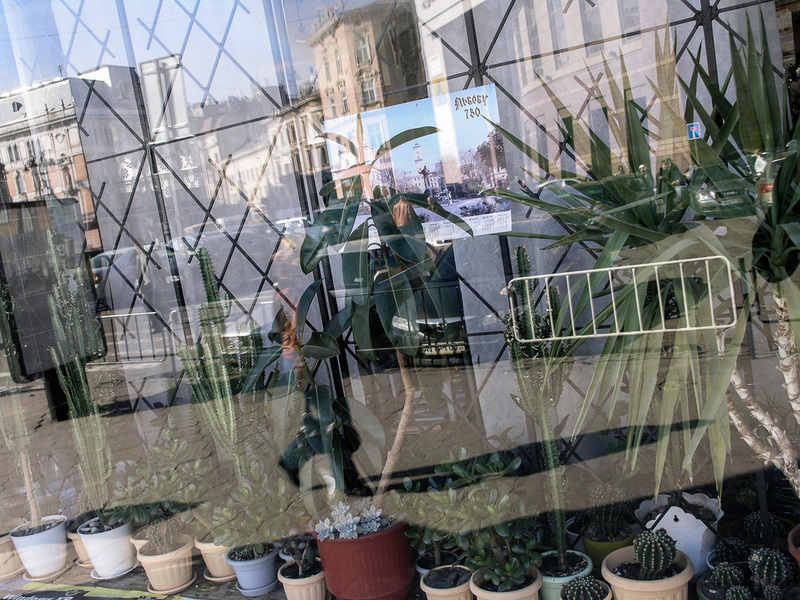 A woman walks past a bookshop with plants in its window display, Lviv, west Ukraine. A poster commemorates the city's 750th anniversary. Young people celebrate a birthday on a factory roof in the industrial zone of Dnipropetrovsk, east Ukraine. Near the train station, Lviv. 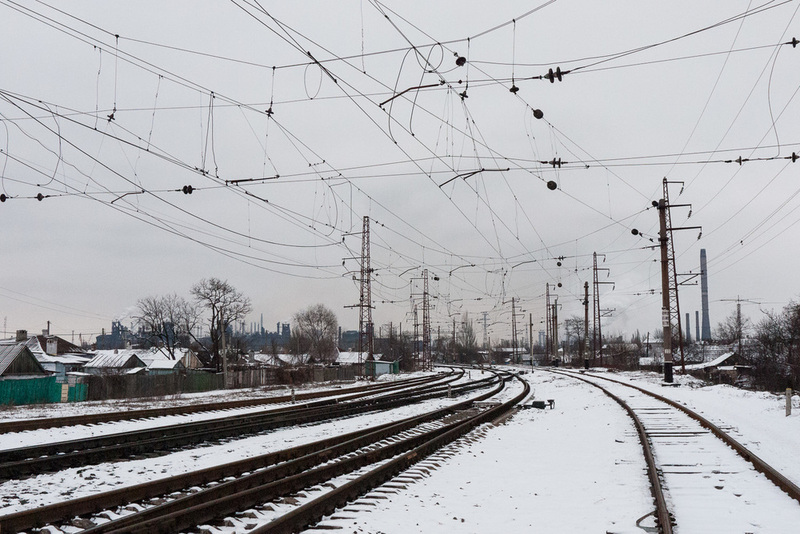 Railway lines in the city of Mariupol. A statue in the Italian Courtyard of Lviv's history museum, west Ukraine. A statue of Lenin overlooks an Orthodox church in the town of Pavlograd. Since the Euromaidan uprisings of 2014, many Lenin statues have been torn down from towns and cities in Ukraine’s eastern regions. Kiev’s 62m ‘Rodina Mat’, or ‘Motherland’ statue in the city's Museum of the Great Patriotic War, pictured behind an Indian restaurant. A man pictured in the workshop of a puppet theatre in the town of Kryvyi Rih. 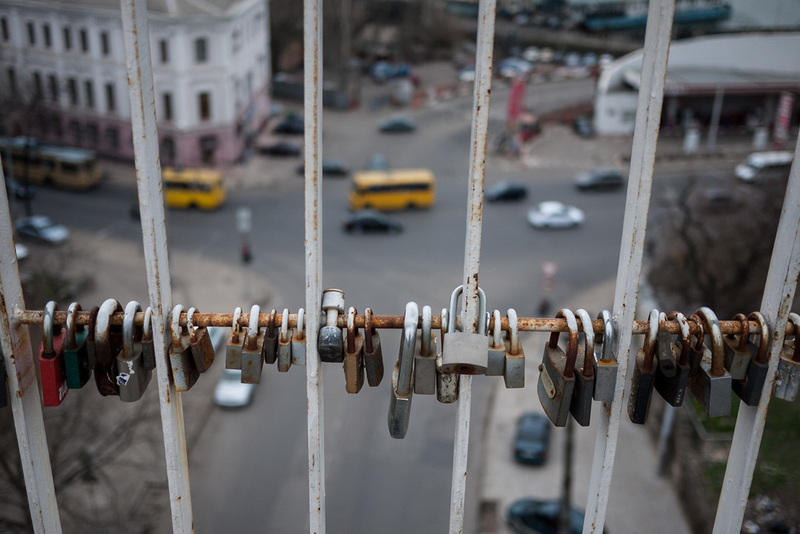 Padlocks left by lovers on a bridge in Odessa. 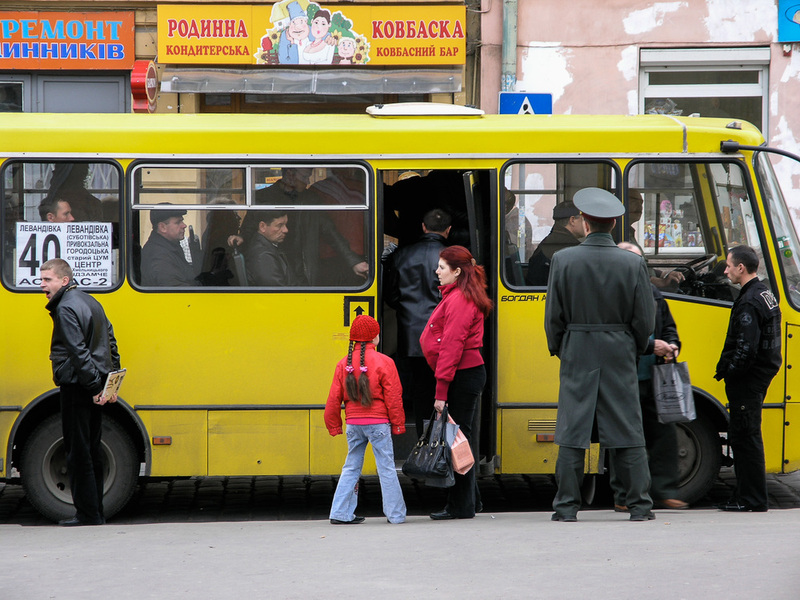 A bus stop in Lviv, west Ukraine. 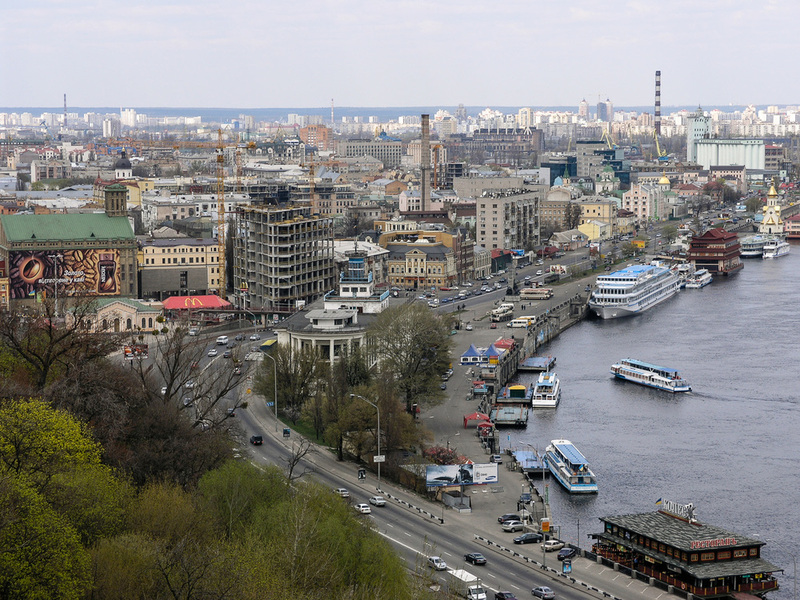 A view over the Podil district of Kiev. In a market in Odessa. In a sanatorium near Odessa. 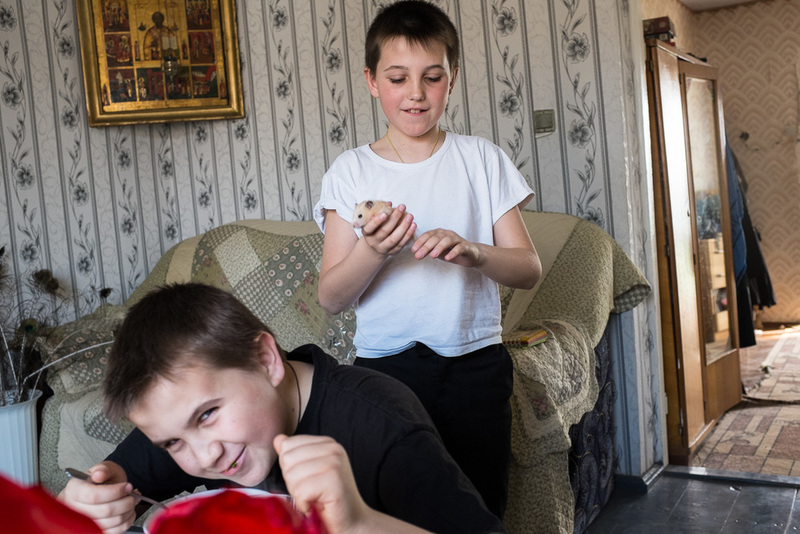 A boy pictured in the village of Stara Nekrasivka. On the metro in Kiev. A view through a tram window in Lviv, west Ukraine. A statue in the town of Vilkovo. 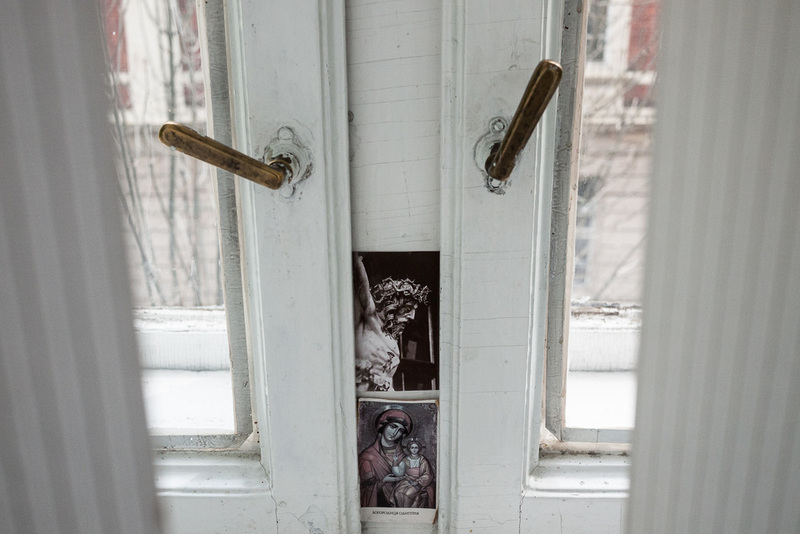 Religious images on cards on the windowsill of a museum in Lviv, west Ukraine. A monument to Fyodor Sergeyev, or ‘Comrade Artyom’ (1883-1921), a Bolshevik and leading Soviet revolutionary overlooks the Seversky Donets river and the Svyatagorsk Cave Monastery in Donetsk Oblast, east Ukraine. A street scene in a market in Odessa. Boys play in a quarry in the city of Kryvyi Rih, a major centre of the Ukrainian mining industry. 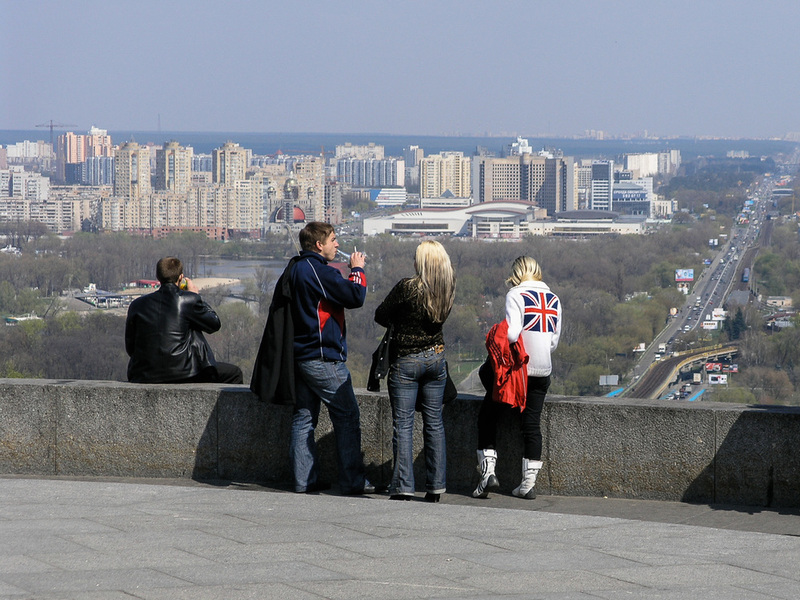 Men stand by the Dnieper river in the city of Dnipropetrovsk. 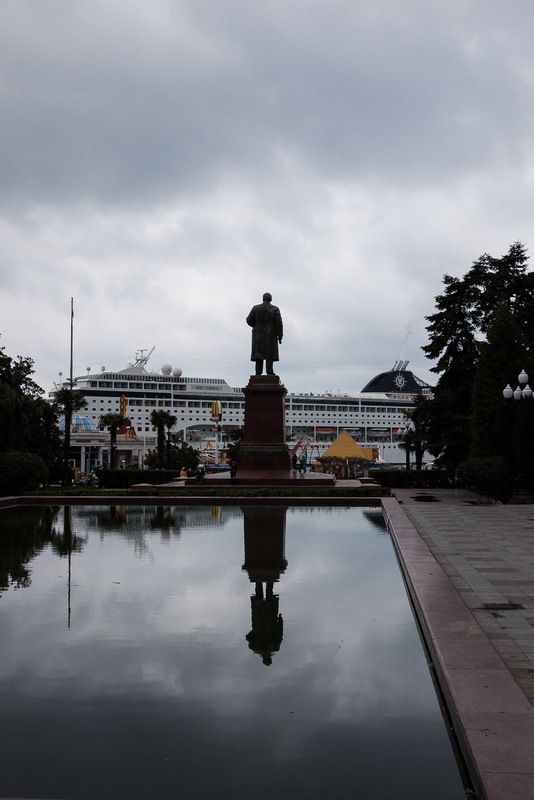 A statue of Lenin in Yalta, Crimea. Men fishing in the Black Sea, Yalta, Crimea. A man fishes in the Danube at Vilkovo near a statue commemorating early Lipovan settlers to the region. The Lipovans - Orthodox Old Believers - came to this corner of Ukraine after the schism of the Russian Orthodox Church, caused by the reforms of Patriarch Nikon in 1654. Izmail. Detail of a panorama in a museum depicting the Russian assault on the town, led by Prince Grigori Potemkin and General Aleksander Suvorov, during the Russo-Turkish war in 1788. The Ukrainian flag painted on a wall in the city of Izmail, southern Ukraine. A disabled man begs for money in a market in Odessa. A statue of Lenin in the grounds of a sanatorium near Odessa. 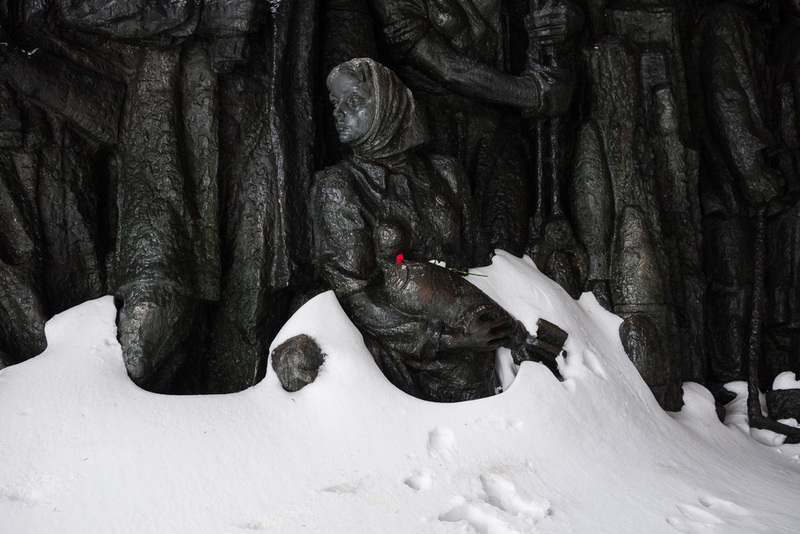 A flower is left on a Soviet­-era monument to those who defended Kiev during the Second World War in the city’s Museum of the Great Patriotic War. A young woman pictured after a performance in Kiev’s opera house. 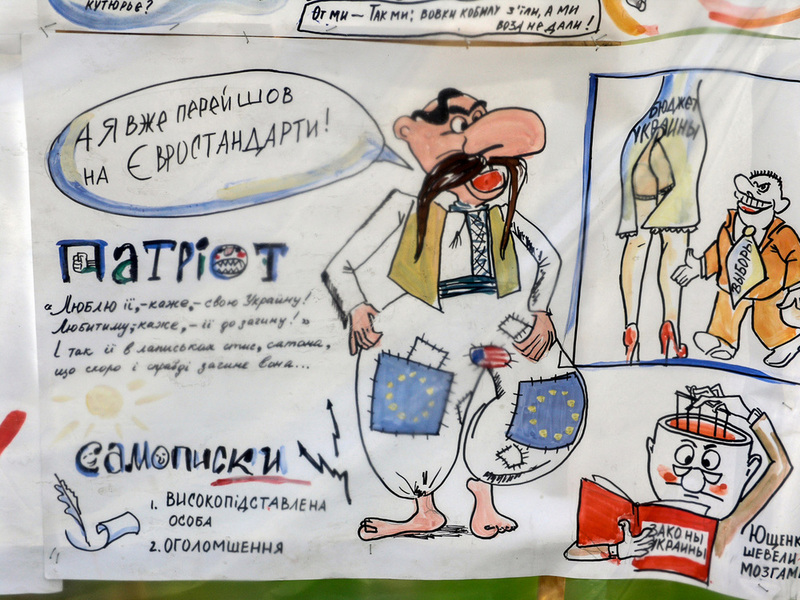 A dress hangs in a theatre in the city of Kryvyi Rih. From a hotel window, Kharkiv, east Ukraine. Boys walk on the frozen Azov Sea near the city of Mariupol. The beach at Yevpatoria, Crimea. A woman walks past an abandoned building in Donetsk, east Ukraine. A young man performing fire ­breathing on an abandoned factory roof in the city of Dnipropetrovsk, east Ukraine. There are many derelict plants and factories in the east of the country, which was an industrial heartland of the Soviet Union. Today, young people use them for recreation. Men fishing in the Black Sea near Yalta, Crimea.